Saudi-led coalition strikes have resulted in hundreds of Yemeni children being killed or maimed, a leaked UN report has said. The paper also urges that Riyadh and its allies be added to a black list of countries violating children's rights. 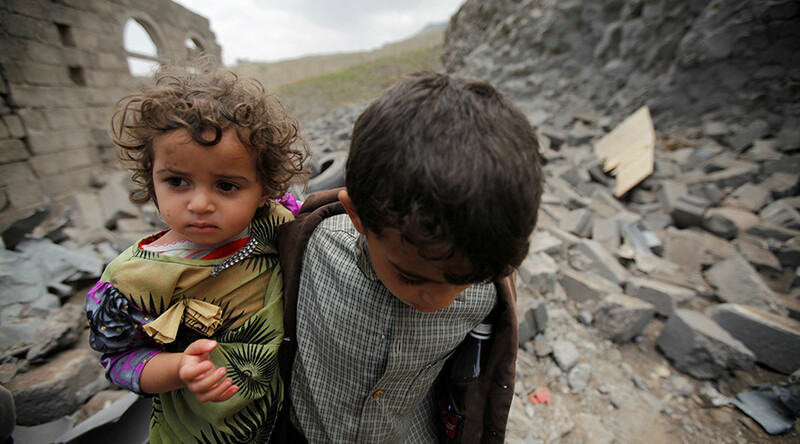 The confidential draft, which is yet to be presented by the UN Secretary-General but seen by Reuters and Foreign Policy (FP) magazine, alleges that Saudi forces and their Gulf allies were complicit in more than half of the deaths and injuries of children in Yemen last year. “The killing and maiming of children remained the most prevalent violation” of children’s rights in Yemen, the 41-page paper says, as cited by FP. The report, which is expected to be released next month, still requires the endorsement from UN Secretary-General Antonio Guterres. It was reportedly drafted by Guterres’ special envoy for children and armed conflict, Virginia Gamba, acting on a request from the UN Security Council. Citing “well-placed sources,” FP said Gamba notified high-ranking UN officials that she suggested the coalition – comprising Saudi Arabia, Bahrain, Egypt, Kuwait, Sudan and the UAE – be included in a black list of rogue countries responsible for killing and maiming children. Similar attempts to put Riyadh on the rogue list failed last year, when then Secretary-General Ban Ki-moon caved in to Saudi Arabia's threats to cut millions international aid funds. 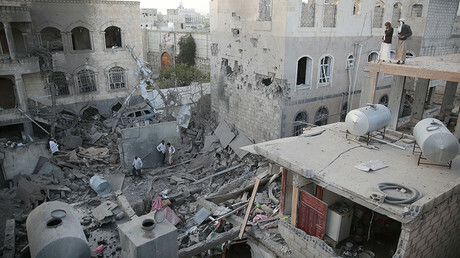 The Saudis further threatened to initiate a walk-out by Arab countries from the UN. This time, however, the US pressured the UN over the proposed move, urging the global organization to single out specific countries complicit in atrocities, FP reports. Gamba told the publication the report still needs to be finalized, adding that she was unaware of US pressure. “None of what you indicate has reached me,” the official said. 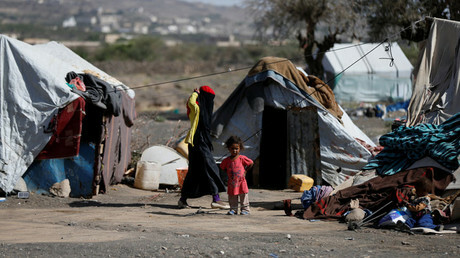 Saudi Arabia and its Gulf allies launched a massive bombing campaign in Yemen in March 2015 to support President Abd-Rabbu Mansour Hadi, previously ousted by Iran-backed Shia Houthi militia. This year alone, the Arab coalition conducted 5,676 airstrikes as compared to the 3,936 for all of 2016, according to figures released by the Protection Cluster in Yemen, a group run by the UN High Commission for Refugees (UNHCR). Riyadh's mission to the UN said in a statement Wednesday there was “no justification whatsoever” for blacklisting the coalition. Saudi diplomats argued in low-key discussions that the kingdom is stepping up efforts to minimize collateral damage and improving the coalition's conduct, Reuters reported.